A few days ago Seeking Alpha had a good piece by "Big Jake" called The Worst Case Scenario (Someone Has to Say It). In it he describes a pretty bad scenario with ten predictions. These predictions seem pretty reasonable to me, however they miss the slightly wider view that FOFOA likes to take. This wider view looks at the very foundation on which all the events listed stand, and more specifically, from a global monetary perspective. One advantage of this wider view is that it provides an antidote to the pain and suffering, on any scale you want. The wider view will often get the actual details and short term developments wrong. But in return, it provides a high probability prediction for the end result, one in which said antidote works wonders. Think of this antidote as a kind of flu vaccine. It can be taken by individuals or by entire nations. It can even be taken by the entire world. And once you are immune, the stress created by this slow motion train wreck just seems to disappear. Prediction one. The twenty-five-year equities bubble pops in 2009. U.S. and foreign equities markets will stop treading water and realign with economic reality. Stock prices will cease to reflect the “greater fool” mentality and will return to being a function of dividend yields, which have long been miserable. The S&P 500 will sink below 500. In a bid to stem the panic, the government will enforce periodic “stock market holidays”, and will vastly expand the scope of its short-selling prohibitions—eventually banning short-selling altogether. Globally (which includes the interior of the United States) equities will be recognized for what they really are; pieces of paper representing a promise from an untrustworthy individual or group of individuals. No one will want this toilet paper any more. As companies frantically issue billions of new shares to raise capital, diluting and extinguishing the value of existing shares, these pieces of paper will be shunned by the entire world. Short sellers won't even matter any more. Because there will be no buyers except for the insiders who are still trying to rig the charade. In the end, the entire stock market will either go to zero, or it will be owned in toto by Goldman Sachs and the US Treasury/Fed. Anyone still holding wealth in paper will lose it all as paper burns. Prediction two. With public pension systems and tens of millions of 401k holders virtually wiped out—and with the Baby Boomers retiring en masse—there will be tremendous pressure on the government to get into the stock market in order to bid up prices. Therefore, sometime in 2010, the Federal Reserve will create and loan out hundreds of billions of fresh dollars to the usual well-connected suspects, instructing them to buy up stocks on the public’s behalf. This scheme will have a fancy but meaningless name—something like the “Taxpayer Assurance Equities Facility”. It will have no effect other than to serve as buyer of last resort for capitulating smart-money types who want to get out of stocks entirely. First off, I've got to say, "as if the government isn't already IN the stock market." But this issue is beside the point. The stock market will be so low in value relative to the things pensioners need to survive from day to day that the government will find it much more efficient to monetize the monthly pension payments than to try and boost the underlying securities. This will happen either before or after the rest of the world has given up on the US dollar. If it happens before, then it will CAUSE the demise of the dollar and bring about hyperinflation. If it happens after, then it simply won't help the pensioners. A pensioner will receive his $4,500 per month for the rest of his life directly from the Fed, but it won't even feed him for one day. Prediction three. Millions of new retirees—including white-collar people with high expectations for a Golden Retirement—will be left virtually penniless. Thousands will starve or freeze to death in their own homes. Hundreds of thousands will find themselves evicted and homeless, or will have to move in with their less-than-enthusiastic children. Already strained by the rising tide of the working-age unemployed, state and local welfare services will be overwhelmed, and by 2012 will have largely collapsed and ceased to function in many parts of the country. "Golden Retirement" Isn't that a nice hint to throw in there? I can't add much to this prediction other than to say that any retiree who has taken STANDARD MAINSTREAM ADVICE and held at least 1% of his retirement in (physical) gold will at least preserve his wealth, and will probably do fine. 10% would be much better. Prediction four. “Quantitative easing” will fail to restart previous patterns of lending and consumption. As the government sends out additional “rebate” checks and takes ever-more drastic measures to force banks to lend, hyperinflation could take hold. However, comprehensive debt relief via a devaluation of the dollar is even more likely. This would entail the government issuing one “new” dollar for some greater number of “old” dollars—thus reducing both debts and savings simultaneously. This would make for a clean slate a la Fight Club. Big Jake makes a good point here. Devaluation or revaluation can come from either internal or external actions. And the way it works is that the first entity to act profits the most from the action. Everyone knows this. By everyone, I mean China, Russia, Europe, the UK, and even the US Fed. At this point we are simply in a game of chicken. Who will veer away from the dollar first? They are all positioned for a quick maneuver, muscles tightened, hands on the wheel, leaning forward, speeding toward each other at a combined 250 miles an hour. As there are many more debtors than savers in the U.S., the vast majority would support devaluation. The Chinese and other foreign holders of our bonds would be screaming mad, but unable to do anything. Every country that has not found a way out of dollar-denominated reserve assets by 2012 will see its reserves eliminated. This is true. The vast majority within the 25% of the world that makes up "the dollar camp" would support an internal devaluation (thereby screwing "the rich" as well as the rest of the world). So the question is will the other 75% of the world just sit around and wait for it to happen? Or are they instead, secretly converting dollars into something more golden? Prediction five. The government will stop pretending that it can finance continuous multi-trillion-dollar deficits on the private market. By late 2010, the sole buyers of new U.S. Treasury and agency bonds will be the Federal Reserve and a few derelict financial institutions under government control. This may or may not lead to hyperinflation. (See prediction four). I think this prediction is perhaps a year too late. I would say that by late 2009 this will be the case. For all we know, it already IS the case, thanks to the transparency of the bond markets. Primary dealers have long been short selling bonds to the point that there are more Treasury bonds being auctioned in the markets than have even been issued by the Treasury. Foreign governments and sovereign wealth funds have all but stopped buying new issues at this point. And if they are buying a few, what they are really buying is TIME. They are buying time to trade in other paper assets for something more golden. Prediction six. As the need for financial industry paper-pushers declines and people have less money to spend on lawyers and Starbucks (SBUX), unemployment will rise until the private sector has eliminated all of its excess capacity and superfluous or socially needless jobs. The government’s narrow unemployment figure (U3) will rise into the high teens by late 2010. The government’s broader unemployment figure (U6) will cease to be reported when it reaches 25 percent—it will simply be too embarrassing. Ultimately, one in three work-eligible Americans will be unemployed, underemployed, or never-employed (e.g. college grads permanently unable to find suitable work). This prediction deals with the service sector or the FIRE economy versus the real producing sector. It is a very US-centered prediction. When we step back, we see that within "the dollar camp", about 80% of the people work in the service sector and only about 20% actually produce real wealth. In the "non-dollar camp", the statistics are reversed. The term "reality bites" has a lot of meaning here. Like a rubber band breaking when it is stretched to the limit, the entire world will snap back to reality. And reality is that the service sector is reliant on the productive sector, not the other way around. Wealth comes from producing real things. Only an excess of wealth from producing can support a vibrant service sector. And in the regions where 80% of the people are living off of the other 20%, most of that excess wealth is held as paper promises, which are now burning. So it will be a long time before we ever see the service sector in the US even approach 50% of the economy. First it must decrease to maybe 25%, and then slowly grow back. This could take a couple generations. Prediction seven. With their pension dreams squashed, and their salaries frozen or cut, police and other local government workers will turn to wholesale corruption in order to survive. America’s ideal of honest, courteous, and impartial cops, teachers, and small-time local functionaries will have come to an end. The key to this prediction is that the real power that comes with the badge and gun will remain. Only the loyalty that comes from payment will disappear. This will probably be one of the most difficult developments to work through. Look no further than Mexico to see what happens. The local police take money from the drug cartels who basically run the local economies. If we see this turn of events in the US, then it will be best to keep a very low profile. And if you happen to have some mysterious "income stream", it would be wise to befriend and financially help out your local cops. They will need it and they will appreciate it. Prediction eight. Commercial overcapacity will strike with a vengeance. By 2012, thousands of enclosed malls, strip malls, unfinished residential developments, motels, truck stops, distribution centers, middle-of-nowhere resorts and casinos, and small-city airports across America will turn into dilapidated, unwanted, and dangerous ghost towns. With no economic incentive for their maintenance or repair, they will crumble into overgrown, plywood-and-sheet-rock ruins. Again, notice that all of the facilities Big Jake lists are related to the service sector. They will be the first to go. In fact, they are already going. As the entire world turns away from the promise of financial paper and the rigged New York auctions we call "markets", it will focus with great intensity on real value. Real value comes from production. Real value comes from gathering the salt of the earth and making something meaningful and useful. And when it comes to trade, if direct trade (barter) is not sufficient, then the intermediary "money" must also carry real value. To store real value, you can either own a producing factory, real things that have already been produced, or the intermediary of choice which is held in high esteem by the entire world. This is gold. Prediction nine. By the end of 2010, tens of millions of households will have fallen behind on their mortgages or stopped paying altogether. Many banks will be unable to process the massive volume of foreclosure paperwork, much less actually seize and resell the homes. The problem here is that the medium of paper money is dying. Yet this medium has been so interwoven into all these deals that the deals themselves will crumble. The laws themselves that created this mess will have to change if there is to be any hope of working this out. Once again, the first people or countries to adopt real change will benefit the most. People have to have motivation to go to work in order to earn something with which to pay mortgages. Mortgage companies want something of real value in return for the underlying asset. This whole system is predicated on the flow of paper money, which is dying. It is hard to predict how it will all play out. But the final outcome is not very hard to see. Devaluation (as mentioned in prediction four) could ease the situation for those mortgage holders still afloat, but it would also eliminate any incentive for most banks to stay in the mortgage business. In any case, the housing market in many parts of the country will lock up completely—nothing bought or sold. With virtually no loans being made, even the government will finally acknowledge that most banks are fundamentally insolvent. A general bank run will only be averted through a roughly one trillion-dollar recapitalization of the FDIC, courtesy of new money from the Federal Reserve. A bank run cannot be averted, even as he says. But this bank run will be much different than the 1930's. This will be a bank run from dollars themselves. Perhaps for a short time, maybe one month, we will see a run to physical cash like Professor Fekete has described. But ultimately the run will follow the global giants to gold. Prediction ten. As an economy is never independent of the society within which it functions, the next few paragraphs will focus on social and political factors. These factors will have as much of an impact on market and consumer confidence as any developments in the financial sector. Whether rightly or not, President Obama, having come to power at the dawn of this crisis, will be blamed for it by over 50 percent of the population. He will be a one-term president. In response to his perceived socialization of America, there will be a swarm of secessionist and extremist activity, much of it violent. Militias and armed sects will be more prominent than in the early 1990s. Stand-off dramas, violent score-settlings, and going-out-with-a-bang attacks by laid-off workers and bankrupted investors—already a national plague—will become an everyday occurrence. On the global scene, leaders of all colors who stayed in "the dollar camp" will be blamed. Some leaders who have secretly straddled the fence, like the ECB and Saudi Arabia, will need to openly declare their "secret preparations" in order to stay in power. Leaders who had the foresight to move from dollars into gold will be held up as heroes. In many cases, these will not be the most noble and moral personalities. But economic reality will trump political ideology and humanistic morality, at least for a while. Because of this dynamic, we will see the next generation heavily influenced by personalities from the East. For both economic and social reasons, millions of immigrants and guest workers will return to their home countries, taking their assets and skills with them. The flow of skilled immigrants will slow to a trickle. Birth rates will plummet as families struggle with uncertainty and reduced (or no) income. What's more interesting here than the flow of immigrants is the flow of real capital. First, (at least for those in the dollar camp), "capital" will be almost instantaneously redefined. This redefinition of capital will resemble a massive instantaneous flow from west to east. Then, once redefined and revalued, real capital will continue to flow away from the West until the rule of law returns and capital can once again find safety here. The East is not a safe place for capital. But it is far more safe than the West is right now. Everything will be relative. Property crime will explode as citizens bitter over their own shattered dreams attempt to comfort themselves by taking what is not theirs. Mutinies and desertions will proliferate in an increasingly demoralized, over-stretched military, especially when states can no longer provide the educational and other benefits promised to their National Guard troops. Property crime will explode among nations in "the dollar camp" as desperate, insolvent governments lash out like zombies hungry for brains. One by one, nations will desert this camp until no one is left. This is already happening. There will be widespread tax collection issues, and a huge backlash against Federal and state bureaucrats who demand three-percent annual pay raises while private sector wages remain frozen or worse. In short, the “Tea Parties” of tomorrow will likely not be so restrained. In the global analogue, the "bureaucrats" are the Fed and the US Treasury, who can print the world's reserve currency to pay themselves. As the rest of the world's governments struggle to make ends meet, they are watching Obama smile as he simply "prints" his own prosperity. The international "Tea Parties" of tomorrow will be against the US dollar itself. Finally, between now and 2012, we are likely to see another earth-shaking national embarrassment on the scale of the 9/11 attacks or Hurricane Katrina and its aftermath. This will demonstrate conclusively to all Americans that their government, even under a savior-figure like Obama, cannot, in fact, save them. We will also see another major financial and monetary "earthquake". This will demonstrate conclusively to all the world that the dollar, even under a savior-figure like Ben Bernanke, cannot, in fact, save them. Only gold can. By 2012, there will be a general feeling that the nation is in immediate danger of blowing up or coming apart at the seams. This fear will be justified, given that the U.S. has always been held together by the promise of a continuously rising material standard of living—the famous “pursuit of happiness”—rather than any ethnic or religious ties. If that goes, so could everything else. We were lucky in the 1930s—we may not be so lucky again. We don't have to wait until 2012. In 2009 there is already a general feeling among 75% of the world that the global financial system is in immediate danger of blowing up or coming apart at the seams. This fear IS justified. For 65 years the world has been held together by the US dollar. Even through the betrayal of 1971, the rest of the world forgave the US and continued using this piece of paper as a substitute for real wealth. But this is over. March 18th, 2009: Ben Bernanke announced that the Fed will purchase billions of dollars of mortgages and government bonds. March 20th, 2009: At the Independent Community Bankers meeting a Bernanke squeeze doll was handed out, and Bernanke was the target of ridicule. The only thing backing the fiat paper dollar is the credibility of the US central bank. When foreigners see the Fed’s own banking community jeering the Fed honcho, the loss of confidence in the dollar is imminent. April 24, 2009: China admitted that it has boosted its gold reserves by 76 percent since 2003. May 5, 2009: The Gulf Cooperation Council (GCC) held its most recent meeting to discuss the Khaleeji, a new gulf-wide currency that, starting in 2010, will displace both the dollar's usage demand in pricing and purchasing oil, but also its reserve demand among oil producing and oil consuming countries the world over. The writing is on the wall, dear friends. Sure, we will have some chaos and turmoil in the coming years. But more importantly, we will have an entire paradigm shift away from paper wealth toward real wealth. This shift is going to deflate the value of all paper until it reaches its intrinsic value of zero. And in that same action, the perception of value that flows out of paper will flow into gold. Gold is about to realize a return to its long history as a wealth reserve. In the near future, we will all be familiar with the various forms of gold that one can hold to protect one's wealth. But right now, only about 1% of us (in the West) are aware. More than ever in the history of the world, gold IS the antidote that I mentioned at the top. It is the flu vaccine for the dollar flu. Get some and become immune to much of the stress that is heading our way. Turn a worst case scenario into a best case scenario. Not only on a personal level, but also on a global scale. Freegold will be for the good of all mankind. This is an interesting book review by The American Spectator. The book is The Euro: The Politics of the New Global Currency By David Marsh. The review is called Funny Money. "Imagine, if you can, that the federal government abolishes the dollar. Just does it because our betters have determined, in their wisdom, that it’s what we need. This will boost the economy, they say, create jobs, make us healthy, wealthy, and wise, yada yada yada..."
Taleb indeed argues that this crisis is "vastly worse" than the thirties. He also argues we're facing big deflation, with an increased risk of inflation. I believe that what Bernanke is doing is trying to move a gigantic oil tanker through a very small port by using maximum engine power. It is possible, but even the smallest mistake will crush the ship on the wall one way or another. As for the paper burning: it should, given the flaws in the current system. However, most of my friends have not seen the (yellow) light yet. And I'm affraid that goes for most of the population able to make that decision. "The reliable respected Adrian Douglas has spread the word that both Goldman Sachs and JPMorgan Chase have been building option call positions on both gold & silver futures contracts. Normally, options are the contrary indicator of naïve money piling on, after a segment of the game has concluded. Not so with option futures, which is the province of insider trading. Both GSax and JPMorgan have been accused for years of suspicious trading history, the sure benefit of carrying out USGovt policy. The other inside story comes from overseas. The Germans have demanded the return of all their gold bullion held by US bankers in custodial accounts. The Arabs are accumulating gold, platinum, and silver. The Chinese admitted their gold accumulation. The Russians have not permitted any gold mining output to enter the markets in three years. Precious metals are being looked upon very favorably as the US$-based financial structures continue to dissolve..."
Putting the entire world on its head !? Today, CBs still try to pull credibility for the fiat ($)-IMFS out of the illusion that the QEs are covered (backed) by an economic revival. All possible perception-building tools are in play. Gold as a default-reserve collateral is still being marginalized. Goldprice freezing is the state of default denial. As soon as it becomes clear that all QE efforts are not resulting in renewed global economic relance,...the IMFS will default and the gold-default-reserve will come officially (structured) in play. Then the management of gold-revaluation will become official. The bigger one is,...the higher the gold-revaluation (as a default reserve collateral) has to be. Main problem for structured gold revaluation is the systemic growing global imbalance between western deficits and eastern surplusses. I believe the banker's endgame may be at hand. There are signs. JPMorgan and Goldman Sachs are buying gold and silver option futures. Goldman's principle program trading just dropped 25%. The NY Fed president is making his getaway with the loot. Insiders continue to sell aggressively into the rally. All of these and more have the stench of an exit strategy. If this is correct, look for gold to bolt upward as the manipulators switch gears. This should take it to $2,000. Then look for it to hit "Alf's number" as the market system crashes without the support of the manipulators. Then look for it to hit Another's number as the global monetary system crashes without the support of the manipulated markets. The dominos are lined up and ready to fall. Gold is both a commodity play AND a monetary play. The other metals are only a commodity play. All the market junkies refuse to see the monetary play staring them right in the face. This is because it invalidates everything they do. When the monetary play begins, the commodity plays will be all but wiped out. The monetary play for gold only works in physical. The marginal difference between commodity and monetary possibilities for gold is a difference of maybe 50 to 1. It is a fairly simple risk-reward calculation at this point... in my humble opinion. The dominos are INDEED lined up and ready to fall....!!! I.Rates are edging up...bondprices are falling (through supportlines). How can a global UN-balanced economy ($ 40 Trillion GDP) be a collateral for the total digitberg ($ 100 Trillion) in management ??? The global financial industry and its IMFS is an HOLOGRAM (Max Keiser) ! The real stress test is not about the financial system,...but about the global (globalizing) economy ! The explosion of the derivatized FI happened because the growth of the global physical (productive) economy was totally insufficiant to push the fast growing debtberg further. The present QE hysteria is making it worse ! 1/ Gold should be a wealth consolidator with the official (structural) status of reserve. 2/ Money/currency is a unit of account used for trade settlement. 3/ All other wealth has no official status of reserve. Wealth & reserve & unit of account, are permanently " amagamated ". An -op purpose- confusion only serving the power manipulators. Cataclysmic Bear Market : $-Rates will go to 6% (+) (2009 > 2011) where the catch-22 cards will be visible on the table. In the meantime the hologram will take care of the general sense (perception) of evolving back to normality. A fatal mirage (fata morgana). The almost perfect spin (an example) !? That has been the basic problem of the global economy for the past three decades. Low wages have landed the world in its current sorry state of overcapacity masked by unsustainable demand created by a debt bubble that finally imploded in July 2007. The whole world is now producing goods and services made by low-wage workers who cannot afford to buy what they make except by taking on debt on which they eventually will default. An (Indian) optimistic realist !? When world production shifts away from the US subcontinent and some other country exhibits the same degree of political stability. Who are the candidates? The euro is one but the share of EU27 in world production has fallen continuously since 1980 and is now around 25%. China? In 2007, China accounted for 6% of world GDP! However unfortunate it may seem, the dollar is going to be around for some time to come. I am sure Stiglitz knows this. >>> The fall of communism...the Berlin wall, are examples of how fast dramatic changes can happen. Worse : Those producers of real physical wealth who merit more (rising) purchasing power,...aren't getting it ! In sharp contrast with those who manage to increase their PP with permanent debt creation. This global un-balance is killing the economy. Nice additions to Big Jake. We are looking at inflation going through the roof in the next year or two as all of the new money sloshing around the system comes home to roost. I thought that silver is a monetary metal as well. I have 50% of my assets primarily in physical silver and to some extent in physical gold. Another 25% in PM stocks. Are PM stocks something worthwhile keeping, or they are only paper as well? This is a very touchy subject, and I must refer you to the posts from Another and FOA found on USAGold. They are linked on the right of this blog. They spoke on both of these topics and I believe they will be proven right in the end. That said, I don't mean to bash silver. I hold some myself. I think it is very likely to go to $40 an ounce, maybe more. But that is in the commodity markets, as long as they are functioning. When I talk about gold being a monetary play, I fully expect the commodity market for gold to cease functioning altogether. Silver will be a very important monetary metal if we ever find ourselves in a barter economy in the future. Perhaps it will even be minted into official coins at some point. But gold will be the wealth reserve of giants, nations and central banks. The global perception of value that will flow from paper into gold will have no match. As for the PM stocks, I again refer you to Another and FOA. But personally, I would rather put that money into physical gold. PM stocks are still a piece of paper, a promise that can be broken, a debt (to you) that can be wiped out or diluted, a property that can be easily seized or nationalized, etc... And if gold does what I think it will do, the profits of those companies could end up being taxed 99% if they are not nationalized or confiscated. "It all comes down to you playing with a paper gold supply that's supposed to represent gold you could conceivably get, if needed. But the closer we get to the "real act" in this play, the more the paper game is inflated with supply that cannot be covered outside a cash settlement. That is a simple position to understand and work from but just look around? The "Western Mind" is stumbling all over itself in an attempt to explain it with a different outcome. In other words: There must be a way this can all work out so as to preserve our dollar and the leverage we own in these paper gold substitutes. You see, it's the perceived leverage in paper games that keep them coming back, but official policy has changed these markets in order to conduct a now ongoing currency war! Paper gold leverage is only an illusion built on the desires of dollar players trying to prosper in a dollar position. Well, I can tell you that the further we travel this trail, the higher the eventual cash settlement of all gold paper will be and the less that settlement will be allowed to match any "free physical" price. By holding physical gold you are owning a super leveraged "derivative" that will be exchangeable against the value of real things at a par level lost to the minds of most investors. Today, physical gold purchased in dollar values is discounting it's worth by perhaps 100 times. For us PGAs, that is a leverage worth "playing the physical game for"! (smile)"
This was written in 2000 and taken from this page. When it was written, gold was around $300. And also, there were a lot less dollars in the world at that time. In the meantime, as the price has risen 3x, so has the money supply. So read the rest, decide for yourself if it is credible, and then do your own math. That's the best advice I can give you. I don't understand gold's value. Why should I value gold if I can't eat it or use it for something useful. Isn't it another type of fiat currency that depends on its perceived value? I mean, if we are in a world struggling to survive (lack of food, medicines, government services), would you accept gold in exhange for food, or would you instead demand .22 LR ammo, rope or gasoline? Yes, gold depends on perceived value. But so does everything else. And gold does have a proven history. This perception of value still exists in most of the world, perhaps 75%. And it is returning to the rest of the world. Gold is where you store your EXCESS wealth or value. Your "savings". Of course, first buy your food and medicine. And perhaps some .22 ammo. If that uses up all your wealth then you have no use for gold. But food and medicine will rot over time. So if we store too much of that stuff, we will waste it. We need something that will not spoil and will not deprive others of what they need to survive. The fact that we do not consume gold is exactly why it is the best wealth reserve. Now of those good things which nature hath provided in common, every one had a right (as hath been said) to as much as he could use, and property in all that he could effect with his labour; all that his industry could extend to, to alter from the state nature had put it in, was his. He that gathered a hundred bushels of acorns or apples, had thereby a property in them, they were his goods as soon as gathered. He was only to look, that he used them before they spoiled, else he took more than his share, and robbed others. Gold is a way for wealth to transcend the factor of time, without harm to others. Conversations with God…about Gold & Silver! *The following interview was conducted in a similar manner as was conducted in the best selling book series “Conversations With God” by Neale Donald Walsch. Although I do not possess the same intimate knowledge of spirituality as Mr. Walsch, my 10 year journey following precious metal markets has connected me to some very powerful spiritual monetary beings…and they have something to say. So let’s begin. God: Yes, I am here. Me: Hi God! How do I do this? I read the books but I don’t want to sound like I’m anyone special because I can talk to God. God: But you are special…we all are. You just ask your questions and the answers will be provided by your thoughts. Don’t stop to edit your thoughts. Just trust your answers and we will both provide the answers we need. Me: Ok. I’ll start with an easy one. Are gold and silver markets manipulated? God: Of course they are… Duh! Me: Wait, is God supposed to say duh? God: Don’t waste my time. What’s your next question? Me: Who is doing it and why? God: There are many groups of people who manipulate all markets and they all have different reasons. Some are driven by money, some by power but the largest group is driven by fear. Me: Fear?! These people control the world…what could they be afraid of. God: They are afraid of you and people like you. They are afraid they will be found out and the world as they know it will come crashing down. They are afraid that the people of the world will begin to understand the fiat money fraud and will be angry. Me: Well don’t the ones with the money, the rich and powerful, make the rules? Why would this ever end? God: The “rich and the powerful” are only rich with their monetary illusion. Without fiat currency they are not rich and their power crumbles. The rules will be changed very soon. Me: How soon? I thought this would be over years ago. What will stop them from running this scam FOREVER? God: You are stopping them…and people like you. There is also a group of people who have been working on taking these people down much longer than most know. 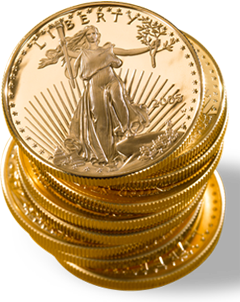 They have been hoarding physical gold for many years and are preparing to go on a gold standard. They have been VERY secretive but they are ready to end the fiat money system. God: They will pull the plug very soon….likely within the next few months. Me: Who are these people? God: They are mostly very patriotic Americans but also others around the world including a very powerful group within China. Me: Wait. Won’t China be hurt by the destruction of the US Dollar since they are the largest holder? God: No. It was part of the plan. China never wanted US Dollars. They wanted to build their manufacturing infrastructure. Multi-national companies have spent Trillions building their factories in China. The destruction of the fiat currencies will leave China very well off. Me: Doesn’t China need the US to sell all their goods at stores like WalMart? God: No. China has over a billion people. There is no shortage of domestic customers only a shortage of those fiat pieces of paper. God: Globalization will end with the fiat currencies. When the fiat money crashes every country will fend for themselves and take care of their own needs the best they can. Me: What will happen to the United States? God: They will benefit the most since they have the highest debt and the most natural resources. Me: Wait what will happen to debt? People are drowning in debt in the US. God: All debt will disappear without the fiat currency and a new monetary system will be put in place in each country. Fiat money will end. Me: Since we NEED some kind of money, how will the new money get distributed? God: There are many equitable ways but the best is through the Social Security system. In this allocation system those who are the oldest and have made the most money over the years will be allocated money first and in equitable amounts. This will also SOLVE the Social Security “problem” that has hung over the US Dollar for decades. This was Alan Greenspan’s idea back in the early 1970’s when he implemented the first computer market rigging programs. Me: So what will happen when the fiat system crashes? Will it be good, bad or the same? God: Like any change there will be some pain BUT most of that pain will be felt by the small number of very wealthy. 99% of the population of the world is already in pain and will FINALLY get to share in the wealth of their nations. They will feel rich because the wealth will be reallocated. Me: Isn’t that kinda socialistic for the American system of government? God: It may feel like that to the rich but this would be a one time occurrence. A “restart” of the American Way that was stolen by the fiat money crowd. Just imagine no more debt and a more equitable distribution of the wealth of the USA. Almost everyone would feel like millionaires overnight! Me: Sounds great! Will the currency be backed by gold and silver again? God: The founding fathers never meant for the money to be “backed” by gold and silver. The money of the United States of America IS gold and silver. Period. If people chose to use paper script in lieu of carrying around metal that will be their choice. There is also no problem with many forms of money as long as they are transparent so there may spring up other methods of payment such as paper, electronic credits and barter. Individuals will be free to choose their own forms of money. Ultimately, gold and silver will prove to be the most sound of all the monetary choices available. Me: What if the current “Powers-That-Be” don’t allow any of this to transpire? God: They have no choice. The power lies with the people now and although the bad guys continue to fight their defeat is at hand. The intent is to have a peaceful transition but there are some within the manipulation crowd that are resisting to the very end. Me: Where does the power to overthrow the bad guys come from? God: The power has always been with the people but the tools being implemented are within the financial computer systems of the world. The end of the fiat money system has been programmed in and is only awaiting the execute command. The world will change overnight. Me: I’ve been studying and preparing for this for years yet I still feel very afraid of this kind of drastic change. Is there anything I can do to prepare? God: Yes. Be prepared for a few months of chaos. Keep enough food and water on hand in case the transition takes longer than we hope. But most of all have faith that this is a VERY GOOD thing for humanity. Me: Is there anything else I should do? God: Yes. Get some sleep and stop thinking about all this stuff. Spend time with your friends and family. Me: Ok, can I come back with more questions? I have a lot of friends and colleagues who will wonder why I didn’t ask more. God: Yes, I am always here with you. Me: Thanks. I feel better. Thank you for the explanation. I guess I didn't get it because I'm not one of those with excess wealth! LOL Oh well, at least I have my pennies jar. You are welcome. But I must add, that description of the reasons gold is a good wealth reserve is for all time. Our current time, right now, is a special situation. One in which even a person of humble means can experience a great increase in wealth. As one system dies and another is born, there is always a great transfer of wealth. This was the message of Another! Here's Martin Armstrong's latest essay. Thanks! Going to check it out now.